The United Conservative Party (UCP) won the Alberta election last night. While it’s really no surprise, it makes me sad because it seems voters would rather vote for racist homophobes than vote for anyone that cares about the environment and future of the province and Canada. Voters would sooner ignore the economic reality that the NDP had absolutely nothing to do with the international price of oil. They simply had to pay the cost of low prices. Things are starting to look pretty bleak when it comes to the progressive mindset in Canada and elsewhere. Any last bastions of folks that pretend that they want to save the planet or protect this rare gift called Earth are pretty much cannabalizing themselves. As Trudeau continues to mess up national affairs, we can be pretty much certain that the political landscape will be very dark ahead, brought to you by a bunch of old white guys that want to tell everyone else how to manage their own lives. 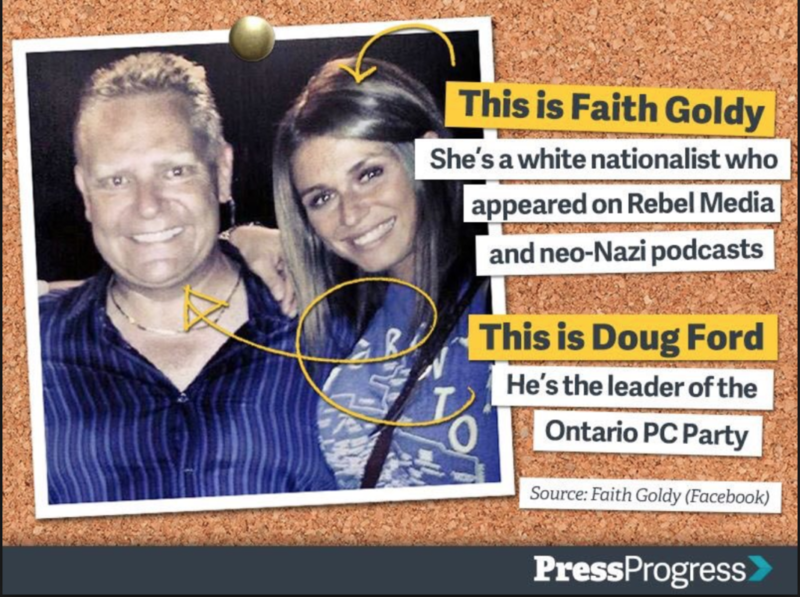 Andrew Scheer is definitely NOT looking very Prime Ministerial when he’s associating with racists and white nationalists like Faith Goldy. Yes, the same Faith Goldy that just got turfed from Facebook today for having such extreme views on white pride so as to draw attention of the global social media platform. Yes, the same Faith Goldy that has interviewed Raggedy Andy on numerous occasions, basically making him a regular as, I don’t know, maybe a know-it-all political pundit who’s sole mission is to bring about Conservative anarchy in the country we all love. 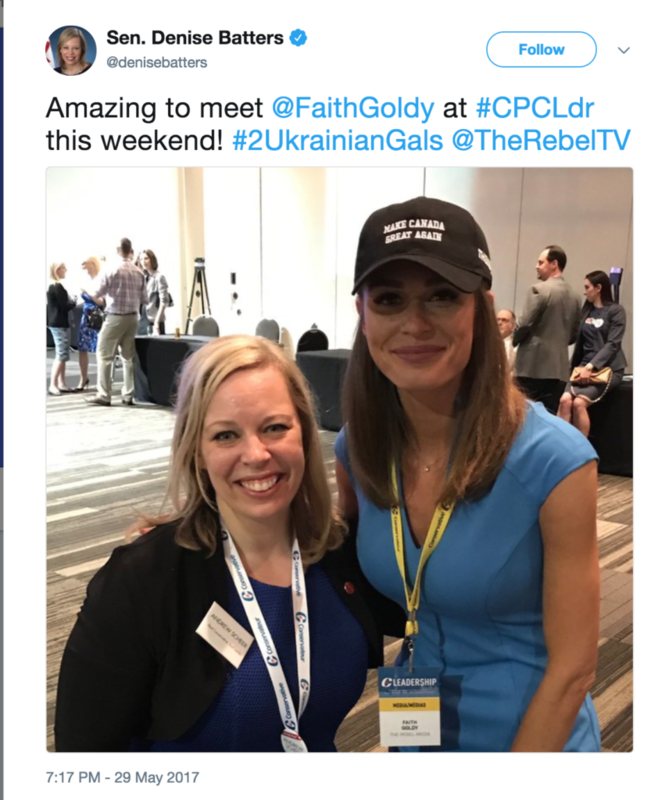 And the same Faith Goldy that has been making the rounds with other prominent Conservatives who refuse to back down from their association with white nationalist groups. This is the lawlessness that people would like to see in Canada instead of an amateur politician that has clearly made a few mistakes. 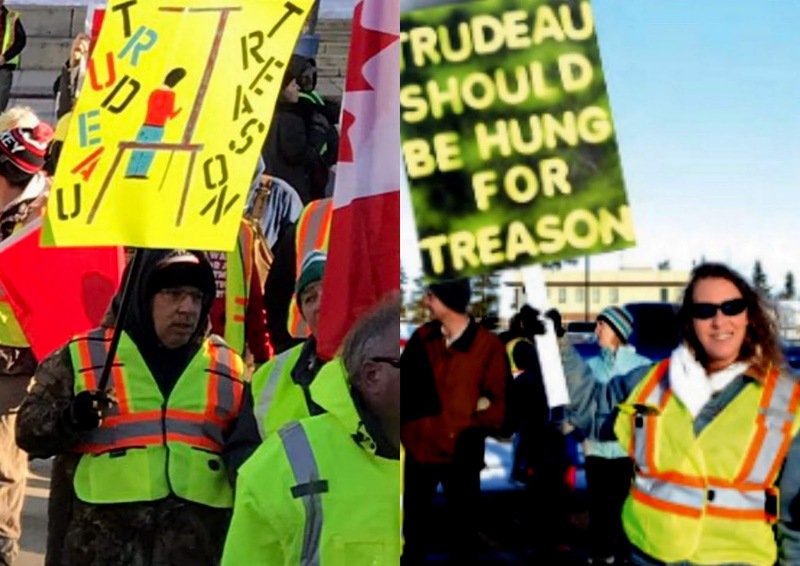 These are the same folks who are helping to fuel racist media propaganda in Canada via platforms like Canada Proud, Ontario Proud and Rebel Media. It’s frightening to know that Canada’s biggest HR problem will result in a Conservative landslide in October. 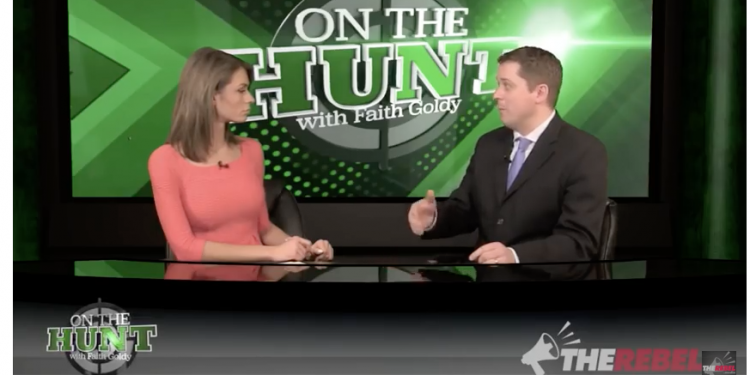 If Andrew Scheer doesn’t disavow his relationships with Rebel and people like Faith Goldy, we know where he stands. We must rally and find a way to ensure that we don’t make the same mistakes as we did in Ontario. JUST ANNOUNCED: JWR still insists that it’s Trudeau’s fault for her being kicked out of caucus. Was it the Con judge that Trudeau refused to put into power? Someone clearly hates Trudeau when she can’t see the damage that she’s bringing to the Liberals and the country of Canada. And she still wants to blame Trudeau, despite the simple fact that the entire caucus finally made a collective decision to ask her to step aside. It should have happened differently, but she wanted to burn Trudeau. We still don’t really know why, but maybe as an independent, she’ll reveal more of ‘her version’. She should have recused herself from the entire situation the moment she stood up and told ‘her version’ of the story. People would still respect her today had she made that choice. She might have even been welcomed back into Cabinet. However, her trumped up, illegal, hyperbolic, entrapment-laiden HR problem that she’s dumped on the rest of Canada has steered Canadian voters into thinking that the Liberals are a disaster and that the only option is Andy Scheer’s Cons. Ugh … what a mess.